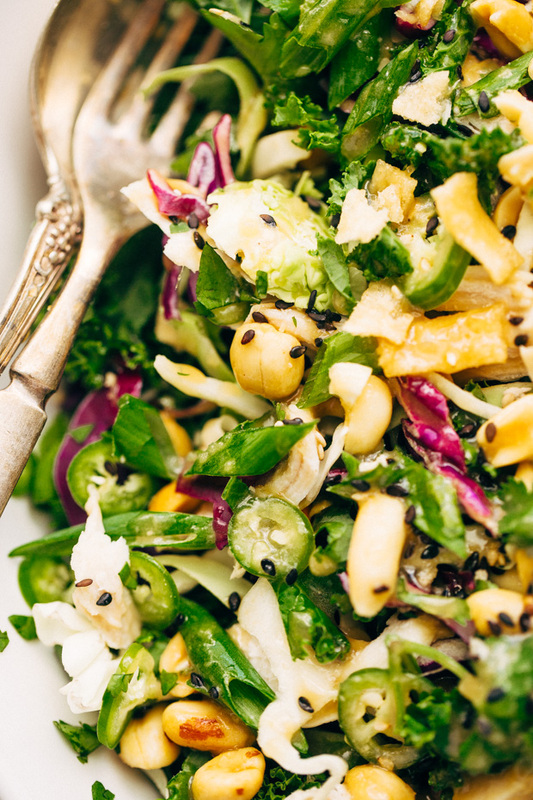 An Asian inspired kale and shaved brussel sprout salad topped with a ginger miso dressing. 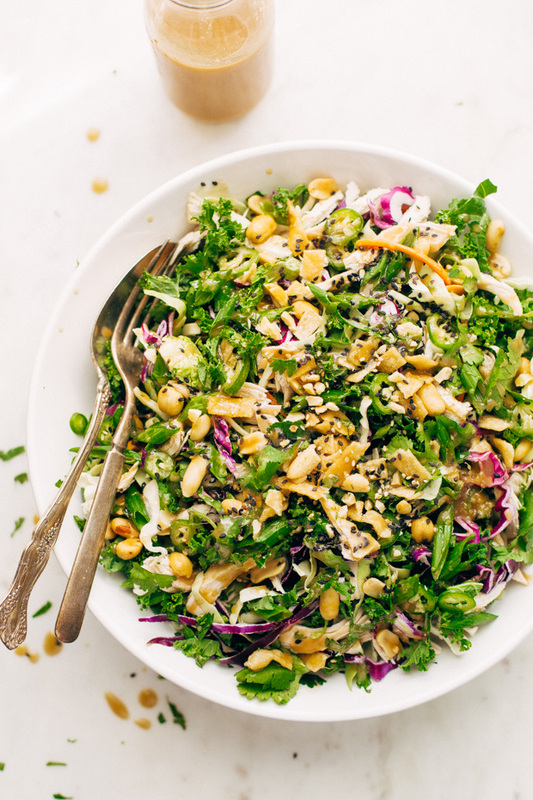 This is the perfect salad to use up leftover rotisserie chicken or shredded turkey. Brussel sprout salad on the Monday after Thanksgiving. 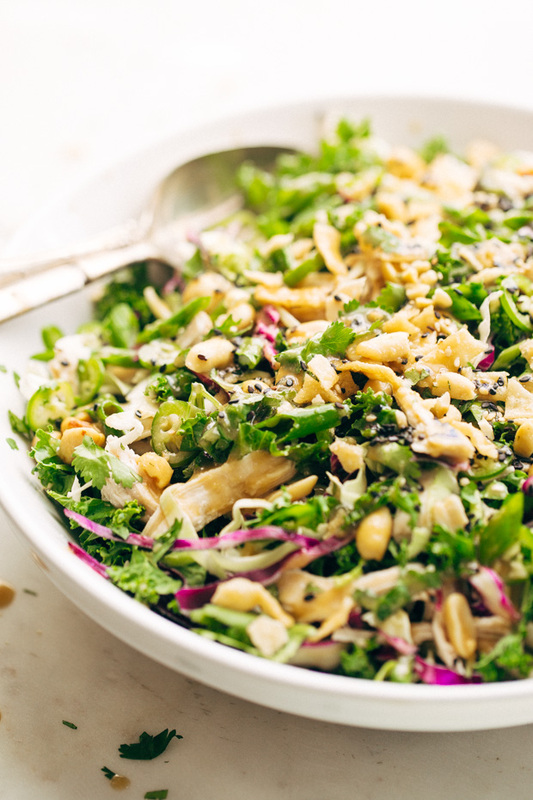 Chopped kale and shaved brussel sprouts and roasted peanuts and shredded cabbage and leftover chicken or turkey and ginger miso dressing. Using up all those holiday leftovers and makin’ a salad that’s mighty fresh and light. Because a quick few days and there we go, hurtling into December. And I don’t know about you, but i’m so not ready to hurtle. Let’s take it easy and just enjoy this fresh, flavorful salad while we can. I’m all about that ‘leftover salad’. Did you buy too many brussel sprouts for your casserole and end up not using a bunch? Got leftover shredded turkey that’s sitting in a tupperware container in the refrigerator? Add a few quick ingredients together in a jar for my homemade ginger miso dressing and you’ve got a whole new meal without much work. And as an added bonus, it happens to be light on the waistline, filling, and oh, so satisfying! But you wanna know what I love the most about this Asian inspired kale salad? The toppings possibilities. Topabilities. Thats it. I’m coining the term. You already know that I am more about the toppings on a salad than about the actual salad itself. 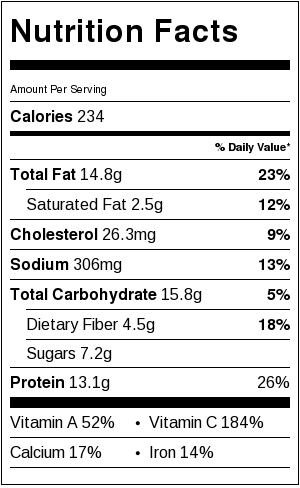 So i’ve got thinly sliced serranos, scallions, lots of sesame seeds, and for that crunch we all love, wonton strips. And just to hit that sweet top, a healthy drizzle of easy ginger miso dressing. But first, how was your Thanksgiving? What did you eat? Tell me about the pies. Where did you shop? And where are the best Cyber Monday deals? Moving along. How about that dressing? My ginger miso dressing is completely homemade and most of the ingredients are pantry staples. We’re not using those store-bought dressing that are loaded with who knows what. The one ingredient you’ll probably need to purchase is the miso paste. It’s usually found in the international food aisle of most grocery stores. I’ve even seen it in the refrigerated section of my local Sprouts Farmers Market. And incase you’re wondering what to do with that leftover miso paste –> make this . The rest of the ingredients are simple – ginger paste (or grated ginger), lime juice, sesame oil, rice vinegar, oil, sugar, and soy sauce. 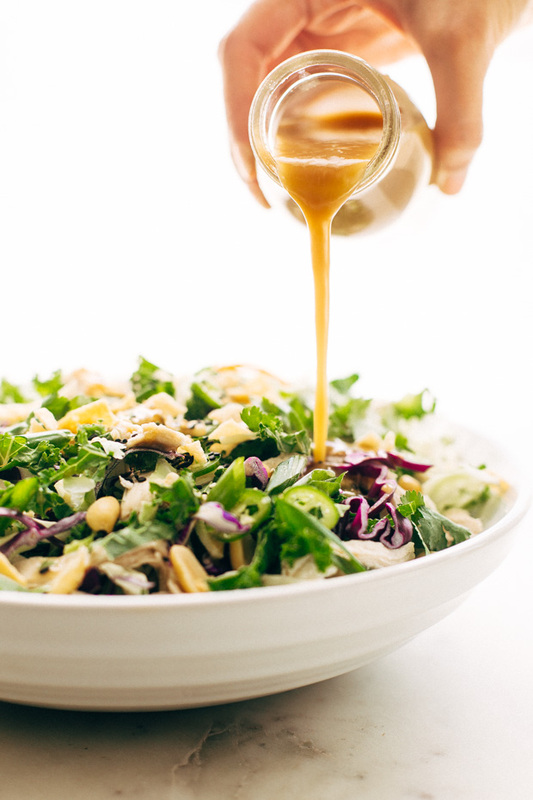 The sweeter ginger miso dressing pairs beautifully with the spicy brussel sprout salad. The crunch from the peanuts and wonton strips takes it over the top. You can even toss in leftover quinoa or cooked farro if you want to make this salad even heartier. The fresh herbs together with the heat from the peppers and that sweet ginger miso dressing just cools everything off. Load a fork up with a little bit of everything. 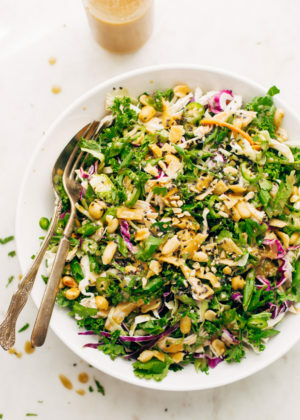 A little crunch, a little spice, and just anticipate all those flavor explosions in you mouth to come.This salad is a beautiful hodgepodge of ingredients that work in complete harmony. ‘Hodgepodge’ and ‘harmony’ in one sentence describing a brussel sprout salad recipe. This really made more sense in my head, I promise. Anyway! You can use whatever base you prefer for this salad recipe. I used and prefer chopped baby kale and shaved brussel sprouts but baby spinach, romaine, and spring mix would all work well. This is a super simple brussel sprout salad recipe that uses up all your Thanksgiving leftovers and clears the fridge! Really, make it your own, I won’t be mad at that. DRESSING: Pulse the dressing ingredients in a blender or food processor. Alternately, you can combine them in a bowl and whisk until smooth. SALAD: In a large bowl, toss together the greens, cilantro, scallions, shredded chicken or turkey, sliced serrano pepper, and peanuts. Drizzle with the dressing when ready to serve and toss to combine. Finally, sprinkle with sesame seeds and wonton strips before serving or serve on the side. Other greens that would work well in this salad – baby spinach, shredded red cabbage, spring mix, romaine lettuce, chopped mint, etc.